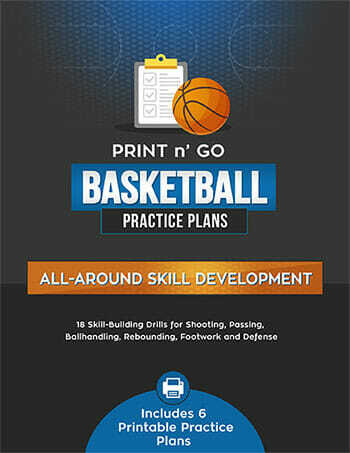 I’m often asked for advice on how to [tag]improve basketball skills[/tag]. Here’s a simple coaching tip from Clay that will pay huge dividends with your team. 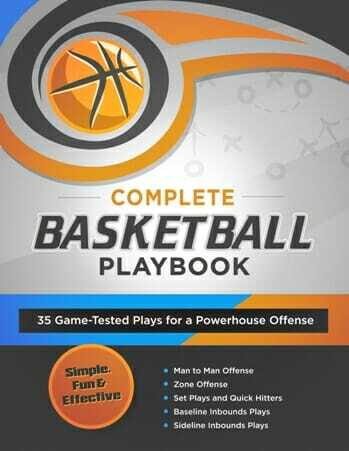 This [tag]basketball[/tag] [tag]drill[/tag] is very competitive and works on [tag]transition defense[/tag], [tag]transition offense[/tag], and individual skills. 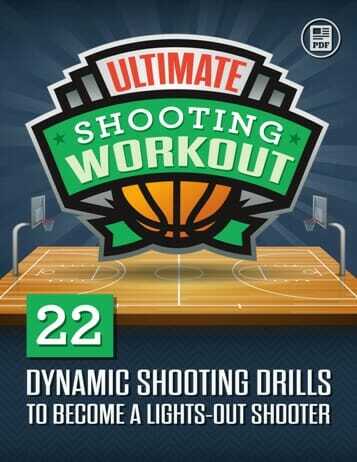 You need at least 8 players to run it correctly. We run it with no out of bounds and no fouls (with your discretion on the roughness your kids can handle). If you have only 8 players 5 or 6 minutes is all you can probably handle if they do it wide open. 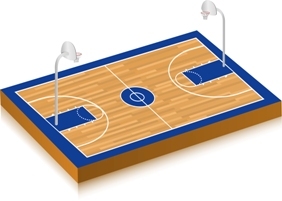 Divide players into four groups and locate them at the foul lines extended (out of bounds). On one end have 2 defenders and 2 offensive players. The offensive players are trying to score and the defenders are trying to stop them. After a made basket, a turnover, or a defensive rebound, the defensive team makes an outlet to the 1st person in line at the foul line extended closest to them. Upon this pass, the person who received the outlet pass and the person in front of the line on the opposite side of the floor are going to the other end to score while the 2 players who started on offense and getting back on defense. The players rotate from OFFENSE TO DEFENSE AND THEN OUT INTO AN OUTLET LINE.